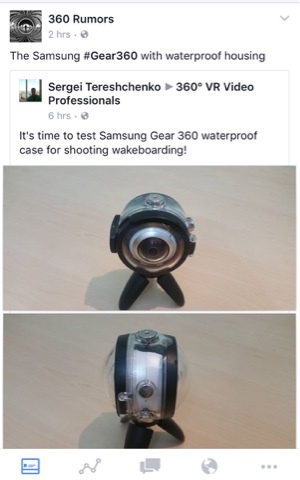 The waterproof housing for the Samsung Gear 360 is out (in Europe). It appears that the housing is invisible to the Gear 360’s lenses so you should have an unobstructed view. There might be fogging and/or additional flare though. But that’s a small price to pay for waterproof capability! The housing can also serve as a sturdy camera case. This puts pressure on the Nikon Keymission 360 which was touted for being a waterproof 4k 360 camera but was delayed to October. Hi, where can I buy this case? Can´t find it anywhere. This thing is practically impossible to find now. The links that used to have it don't have it anymore. You're probably better off looking for something else, or perhaps a keymission 360.